The product: an anti-wrinkle serum that enclose pearls containing Q10 +. The client wanted us to eat “pearl”, talk “pearl” and dream “pearl”! 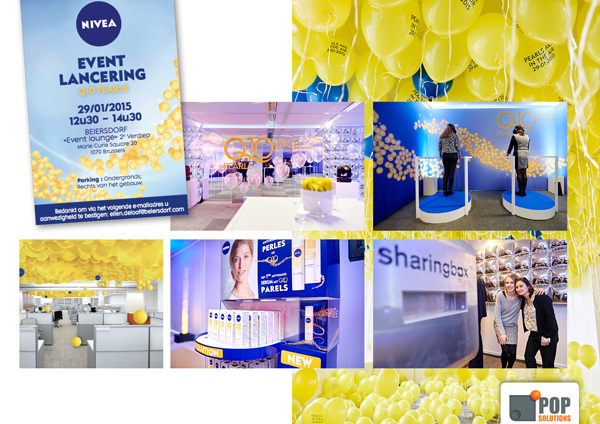 The Beiersdorf offices were entirely decorated to mark the occasion with yellow balloons. The employees, using Oculus Rift applications, were also able to experience the product live! 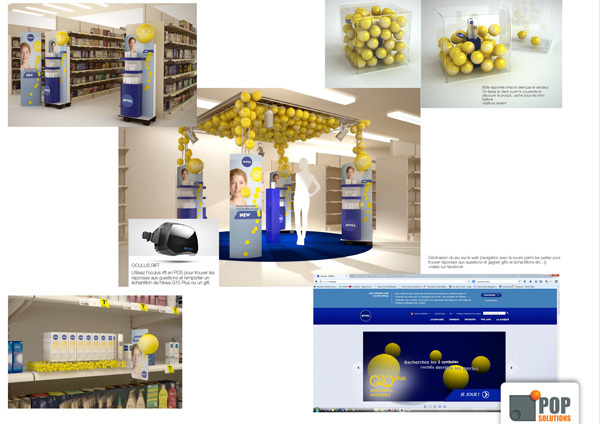 The link to the sales outlets was guaranteed by aisles decorated with yellow pearls and “stop aisles” with 3D spheres, not forgetting sales events supported by using Oculus Rift. Finally, consumers were relayed online with a game. A stunning and winning strategy created by POP Solutions from A to Z!